Hello everyone apple ne iPhone X 12 September 2017 ko launched kiye Hai. iPhone x new flagship smartphone Hain. iPhone x mein face ID security hai. Ager quality ke baat Kare to iPhone x sab se high rhane wali Hai. Aaj hum aapko iPhone x Phone ke full Specification baatye ge. 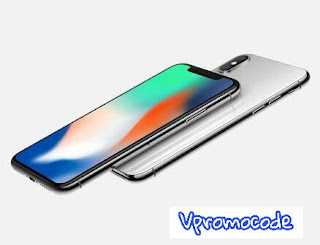 iPhone Deals mein bhe hum aapke help Kare ga.
Flagship iPhone ab India mein Hai Apple gold, sliver, gray colour mein iPhone x launch kiye Gaye Hai. New feature ke saath Aaye Hai yeah Phone. iPhone x mein super retina HAD display Hai. Ager aap apply ka Phone Lena chahte Hai to hum bola iPhone x aapke liye best phone mein se eek Hai. Apple ne bola Hai "iPhone 10" smartphone ke feature iPhone x smartphone mein jasie camera, face I'd lock, sensor, and more. iPhone x mein 12MP camera dual setup ke saath Diya Gaye Hai. Apple ka bola Hai yeah world ka sabse powerful smartphone camera ka upgrade Phone Hai.